PHALEG commands those things which are attributed to Mars, the Prince of Peace. The Magician that has Phaleg’s character will be raised by Phaleg to great honors in affairs of War. 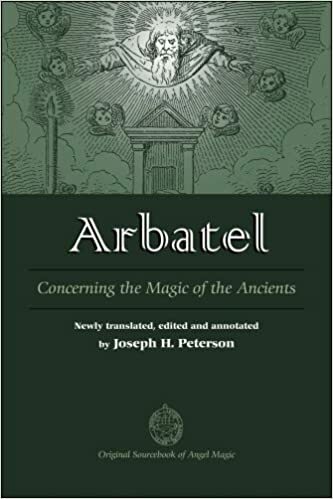 The governor ARATRON have in their power those things which they do naturally, that is, in manner and subject the same as those things which in “Astronomy of Grace” (apparently a lost book by Paracelsus, BM) are ascribed to the power of Saturn. That they have the power to transmute any thing into stone instantly, either animal or plant, retaining its appearance. They convert treasures into coals, and coals into treasure. They give familiars with a specific power. They teach Alchemy, Magic, and Physics. They reconcile the subterranean spirits (called Pygmies, probably Gnomes are meant, BM) to men; the hairy men. They make the infertile fertile, and give longevity. They have under them 49 Kings, 42 Princes, 35 Presidents, 28 Dukes, 21 Ministers, standing before them; 14 familiars, seven messengers: they command 36,000 legions of spirits; the number of a legion is 490. BETHOR governs the things ascribed to Jupiter: when called they come quickly. The Magician that is dignified with Bethor’s character, Bethor raises to the highest dignities. Bethor exposes treasures to the Magician. Bethor reconciles the spirits of the Air, who then answer truly. These spirits move things and precious stones from place to place, and they make medicines miraculous in their effects: they also give familiars of the firmament, and they have the power to prolong life to 700 years, if God wills it so. They have under them 42 Kings, 35 Princes, 28 Dukes, 21 Counsellors, 14 Ministers, 7 Messengers, 29,000 legions of Spirits.